They also state the capsules can ‘theoretically’ increase lean body mass and provide a tighter, leaner body. None of the Evolution Slimming’s claims are particularly fancy or over the top. In a nutshell, they’re saying it’s a fat burner that may also improve muscle quality, but talk is cheap. Let’s take a look at what we’ve got here. 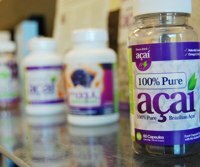 Positives: A great natural product that works with your body. Helps rid body fat and keeps lean muscle mass. How does Forskolin Encourage Weight Loss? Forskolin has the proven ability to stimulate the thyroid gland and cause it to release extra hormones. Thyroid hormones are very important for ensuring the metabolism is running at peak efficiency, so Evolution Slimming’s claim that Forskolin 125 can ‘boost your sluggish metabolism’ would appear to be built on strong foundations. When the metabolism is working at its best—as if often the case with younger people who appear to be able to eat what they want and never put on weight—the body burns off body fat quickly and easily. This supports Evolution Slimming’s claims that their capsules will increase thermogenesis (fat burning) and lower body fat. Their statement that the capsules can ‘theoretically’ increase lean muscle mass can also be supported. Forskolin is known to have the ability to encourage the body to produce extra testosterone, and increasing testosterone has been proven to encourage the growth of lean muscle tissue (that’s why bodybuilders take testosterone-boosting supplements). Scientific tests have also shown muscle tissue burns more calories than the equivalent mass of fatty tissue—improved calorie burning is an added benefit any dieter will appreciate. 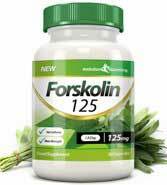 There is a little gelatin in the capsule casing, so that discounts Forskolin 125 as far as vegetarian dieters go; but apart from that were looking at one main ingredient here folks and, as the name suggests, it’s forskolin. Forskolin’s ability to boost testosterone and thyroid hormone production has been proven in a number of studies. In one case the study was conducted on rats, but the majority of forskolin studies have involved human volunteers. 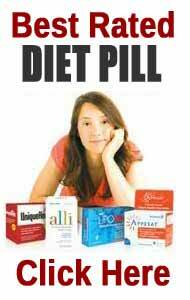 One capsule should be taken each morning, preferably 10 to 30 minutes before breakfast. Pregnant and nursing mothers are advised to play it safe and avoid all forms of supplementation (unless approved by their doctor), but most people should be able to use forskolin without issue. Potential users who are using any form of medication, or who have any known or suspected health problems, should seek medical advice before commencing supplementation. 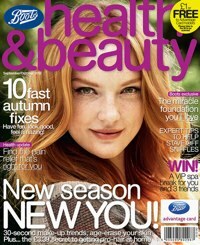 Evolution Slimming provides customers with a 30 day money back guarantee. Forskolin 125 is a recommended product. The capsules contain just one ingredient and it is known to provide all the benefits Evolution Slimming promise for their product; so there can be no doubt about the authenticity of their claims. Customer feedback provides further evidence the capsules work and all purchases are protected by a money back guarantee—definitely one of the best weight loss products available at the present time. 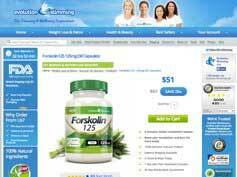 At the time of this review Forskolin 125 could only be purchased from the Evolution Slimming website. 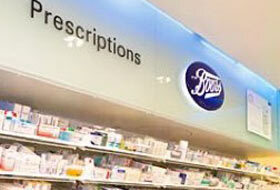 A bottle of 30 capsules costs £29.99 and bulk buy discounts are available. International shipping is offered and postal charges are waived for orders dispatched to addresses in the UK.